Dr. Mazurek received his Bachelors in electrical engineering from Brown University in 2008 and his Ph.D. in electrical engineering from Johns Hopkins University in 2013. During his Ph.D., Dr. Mazurek collaborated with researchers as a visiting graduate student at the University of Alberta to develop control strategies for electrically stimulating the spinal cord to restore walking movements. 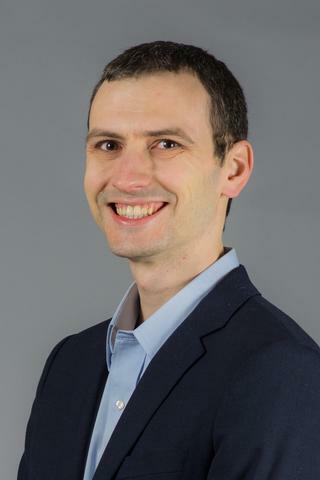 Dr. Mazurek received an NIH NINDS F31 Ruth L. Kirschstein National Research Service Award (NRSA) Individual Pre-doctoral Fellowship to develop a hardware system for using intraspinal microstimulation to electrically activate the spinal cord in a coordinated manner for restore walking. Upon receiving his Ph.D. from Johns Hopkins University, Dr. Mazurek joined the laboratory of Professor Marc Schieber in the Departments of Neurology and Neuroscience to study the cortical mechanisms controlling hand and finger movements. Kevin received an NIH T32 NRSA training fellowship through the Center for Visual Science at the University of Rochester and then an NIH NINDS F32 NRSA Fellowship to study how intracortical microstimulation can deliver instructional information to different cortical regions for performing specific movements. He then became a KL2 scholar after receiving the Clinical and Translational Science Institute (CTSI) KL2 Award to study how cortical areas communicate information to perform voluntary movements and how neurologic diseases or injuries affect this communication. Dr. Mazurek's career goal is to apply his interdisciplinary training to understand how different areas of the brain communicate information when performing the same movements for different reasons in order to develop rehabilitative solutions for individuals with neurologic diseases. Dr. Mazurek studies the neural control of voluntary movements in order to develop rehabilitative solutions for individuals with neurologic diseases. His interdisciplinary research involves the fields of neuroscience, neurology, biomedical engineering, and electrical engineering to identify how neural activity changes when performing the same movements for different reasons. Dr. Mazurek applies brain-machine interface techniques to analyze neural activity from different areas of the brain while the same hand and finger movements are performed using different instruction modalities (e.g. sensory cues). He previously studied how intracortical microstimulation can be used to deliver information to different areas of the brain which can be interpreted and used as instructions for performing particular movements. Currently, he studies how voluntary movements can be performed in response to instructions involving different sensory modalities (e.g. auditory or visual) and contextual information (e.g. describing an object's identity or function). Dr. Mazurek's studies attempt to identify which areas of the brain communicate information and how that communication changes when performing the same movements in response to different instructions. By determining how different areas of the brain communicate and identifying where information can be delivered or augmented (using techniques such as electrical stimulation or augmented reality), Dr. Mazurek's long-term goal is to develop rehabilitative solutions that can restore function to individuals with neurologic diseases by effectively bypassing impaired or damaged neural connections. Mazurek KA, Rouse AG, Schieber MH. "Mirror Neuron Populations Represent Sequences of Behavioral Epochs During Both Execution and Observation." The Journal of neuroscience : the official journal of the Society for Neuroscience.. 2018 May 2; 38(18):4441-4455. Epub 2018 Apr 13. Mazurek KA, Schieber MH. "Injecting Instructions into Premotor Cortex." Neuron.. 2017 Dec 20; 96(6):1282-1289.e4. Epub 2017 Dec 07. Holinski BJ, Mazurek KA, Everaert DG, Toossi A, Lucas-Osma AM, Troyk P, Etienne-Cummings R, Stein RB, Mushahwar VK. "Intraspinal microstimulation produces over-ground walking in anesthetized cats." Journal of neural engineering.. 2016 Oct 0; 13(5):056016. Epub 2016 Sep 13.